When they stoke fear of Muslims, Trump and his aides disparage a deeply rooted religious community that has nurtured, cherished, and built this country. Out in northwest North Dakota, where the winds hit heavy on the borderline, rural Mountrail County backed Donald Trump, as did all but two of North Dakota’s 53 counties. And the city of Ross, population 97, voted a bit more heavily for Trump than the rest of the county and the rest of the state. That’s notable because of the place Ross holds in the history of Islam in America. It was in this farm town that in 1929 the first mosque purposely constructed as such in the United States was established. The Muslim immigrants who settled around Ross to farm in the early years of the 20th century would eventually be buried nearby. Their children and grandchildren have for the most part moved on. But the mosque, now reconstructed and sitting peacefully along a country road, can be found just beyond a simple fence featuring a star and crescent. Before Donald Trump was born, mosques were being built in rural North Dakota and Iowa. Islam is an American religion. What Trump and his closest aides and allies are talking about is not public safety or responsible policing. It is broad-sweep stereotyping rooted in ignorance and cruelty. Trump says he wants to “make America great again.” But he knows nothing of greatness. The measures of what is great and good about America are not found in the crude comments of politicians and their circles of unthinking mandarins. 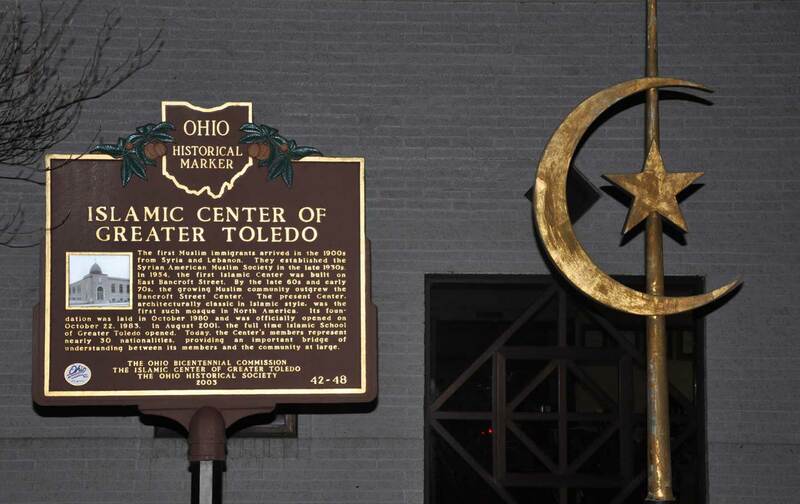 They are found in the mosques of Ross and Cedar Rapids and Toledo, and in the stories of the Muslim immigrants who have embraced and cherished our shared American experiment.